How much time and effort do you spend analyzing the causes for your failed complex Cognos reports? These complex Cognos reports are filled with multiple components (queries, visual containers such as lists, charts, graphs) and the more components that you have, the harder it will be to locate what is contributing to those errors. Are you preparing to migrate over to a new Cognos environment? Before you do, it's important to transfer only the most useful Cognos objects to ensure your new Cognos environment is running strong and efficient. But how do you sift through all the duplicate reports and other unneeded content that has accumulated over the years? Watch our webinar to explore how ReportCard can locate similar/duplicate reports to minimize the scope of your upgrade. Universities of all sizes are facing the challenge of cultivating their data into actions. They need to find data that helps them improve key metrics such as student retention rates, alumni donations, and so on. But with such an abundance of information, how would a university even begin to sift through mountains of reports and spreadsheets to achieve KPIs? Watch our webinar to explore how Theia can bring your data assets into one seamless experience- allowing you to uncover what will lead you to greater success. How many times have you spent tweaking and editing an object in Qlik only to find that it doesn’t work? It can be really frustrating to spend time making changes until the object was in its previous state or working as you desired. Replay this webinar to learn the benefits of gathering all your sources of data and information together into ONE insight hub. We explain how Theia can help you leverage multiple sources of internal and external data sources. Explore how Theia can help you access all your information for faster decision making. Before upgrading to the newest version of Cognos, how will you manually test hundreds of reports? MotioCI provides test cases which make the upgrade easier. Re-play our webinar to learn which test cases are most useful for upgrades and how to execute them for each quarterly release! 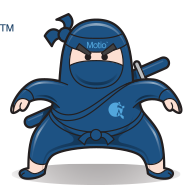 Replay this webinar to see how Motio's ReportCard product monitors user activity and system metrics to determine if issues in Cognos are caused by the users or infrastructure. Learn how to set up notifications, which proactively alert you anytime Cognos performance behavior doesn't meet your expectations. Self-service BI has been widely embraced but this new freedom given to people outside of IT can result in a negative impact on the Cognos environment. Replay this webinar to learn how automated testing can prevent environment crashes that disrupt your user community and provide a balance between what IT wants (environmental protection) and what business users want (speedy and accurate reports). Are you stuck on Cognos 10? We have a proven strategy that saves you time and effort on upgrading to Cognos Analytics. We helped a Fortune 500 company cut their upgrade time from 14 months to 3 months with the use of our software and the methodology that is spotlighted in this webinar! In this webinar, Eric Smith, from IBM Lab Services and Jeff Dean discuss this strategy that has been part of the IBM campaign to help customers easily upgrade to Cognos Analytics and stay current with the new rapid release cycle that brings you beneficial new features every quarter! This webinar explores the Security Sandbox in Agni® and how it helps improve managing security settings in TM1. It also discusses the benefits of the powerful searching capabilities that quickly retrieve hard to find information and also how to use the exporting feature. Replay this webinar to learn how to utilize MotioPI to query the Cognos Audit DB in new ways, making your environment more efficient. Replay this webinar to learn a methodology to improve your Cognos upgrade process. In this webinar, we explain how to save money and make a plan prior to your upgrade. See how MotioCI adds a layer of safety, so you can focus on getting the best results instead of worrying about small details. Watch this webinar recording if you want to clean up your Cognos environment, but aren’t sure about the process. We’ll teach how to solve Cognos performance issues more effectively. It starts with pinpointing where your issues lie! We’ve shared best practices and how to use ReportCard software to be more proactive in cleaning up your BI. Watch this webinar recording to see how QUBEdocs enhances the already powerful TM1! QUBEdocs improves governance and management of Cognos TM1 with features like automated documentation (and the ability to understand it) and impact analysis. You will see this software in action, and learn how it can save you money, time, and resources. Watch this webinar recording about namespace migration scenarios in IBM Cognos BI. You'll also see a demonstration of Persona IQ, a technology-assisted service, that is used to make transitions between authentication providers a seamless endeavor. Watch a replay of "Implementing and Managing a Robust Security Model in IBM Cognos BI", a webinar featuring a popular session from the IBM Information on Demand and Insight conferences. This webinar provides best practices for implementing a security model in a Cognos environment, along with how to manage and monitor user activity.